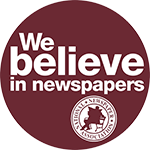 "Our thoughts and prayers are with the families and colleagues at the Capital Gazette today,” National Newspaper Association Susan Rowell, publisher of the Lancaster (SC) News, said. 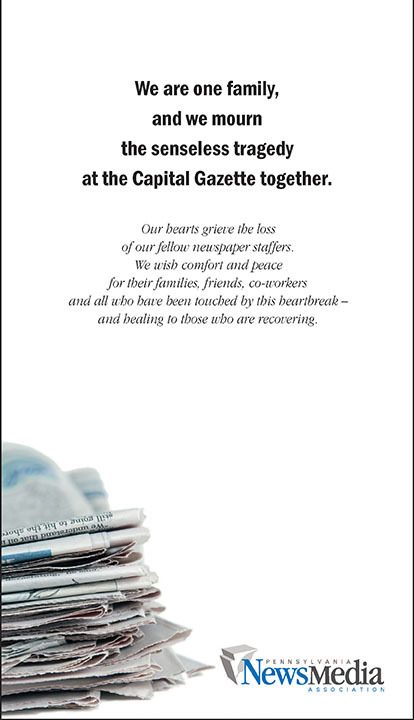 The Pennsylvania News Media Association created ads in support of the staff of the Capital Gazette. 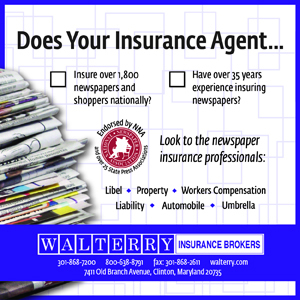 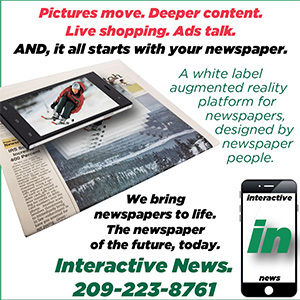 Mark Cohen said newspapers are free to use the ads as they are with your own logo or parts of the ads as they suit your needs.